If you are a student, you need to read lots of books. Or you may love to read books. It is not easy to carry printed books or magazine because of several limitations. So you can easily take lots of books and read anywhere, anytime with the help of your Smartphone and eBook Readers Apps for Android. eBook Reader Apps also called as eReader Apps. You can easily install an eBook Reader App on your Android Phone and Tablet and convert your Android Device as a book. 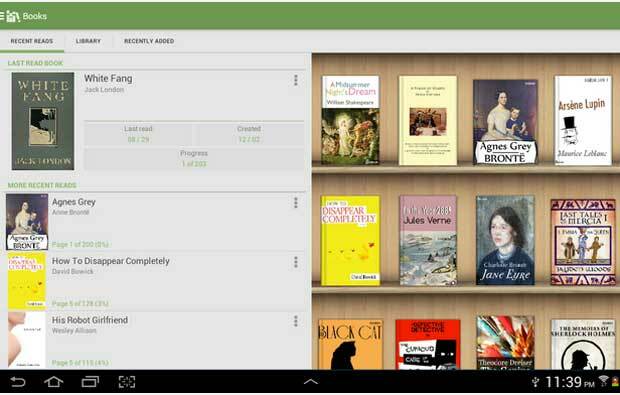 It is not easy to find a good eBook Reader App for Android phone or tablet. When you search for an eBook Reader app which comes with various functions and features, you will find a few apps. Also, most of the eBook Reader Apps comes with the premium version. Here, I’m going to share some Free and Best eBook Reader Apps for Android. Just choose anyone from this list, download it, install on your device and enjoy reading books for free. The Ebook Reader is one of the most popular and Best eBook Reader app for Android, which you can use for free. 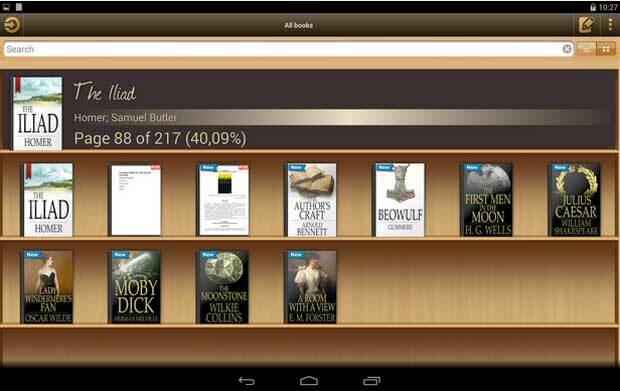 Enjoy reading books anywhere and anytime with your Android device using this eBook Reader app. 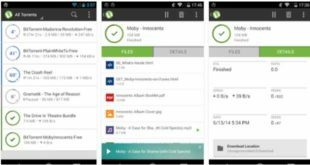 This is a lightweight app specially optimized for Android Operating System and comes with several features. 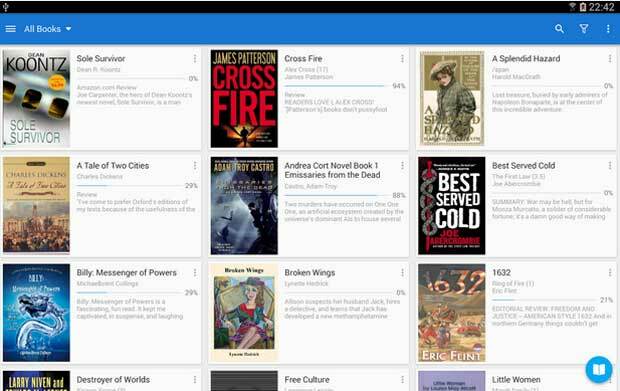 Save your favorite eBooks and sort the list according to book’s name or author name. 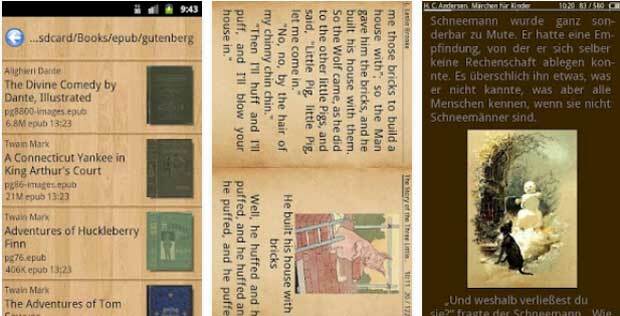 The Aldiko Book Reader is a Free eBook App for Android, which is one of the leading eBook reader apps for Android OS. There is a Premium Version of this app available with more features and functions. More than 20 million people from 200 different countries use this eBook reader app to read their favorite books. 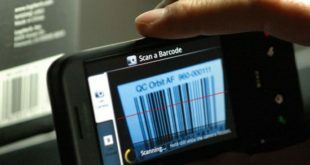 The app comes with several customized features including adjusting font size, font type, background color and much more. Want to read your favorite book from millions of books on Google Play including best-selling books, newly released books, and textbooks? Then the Google Play Books App is the perfect one for you. Using this eReader app, you can easily adjust the font size, choose the best front and choose colors to improve your reading experience. The Moon+ Reader is another free and best eBook reader app for Android that also comes with various functions and features. This is a highly customizable and functional app to take control of your eBook and get better user experience. Read thousands of eBook for free. You can also import your personal eBooks with PDF and EPUB formats. Various visual options including line space, font scale, font size, etc. The Cool Reader is a top-ratted eBook reader app for Android, which supports EPUB, PDF, fb2, doc, txt, RTF, HTML, chm, tcr, pdb, PRC and MOBI formats. Get the best user experience with this app and read books for a long time. The app comes with Multilanguage support feature including Chinese, Japanese, Korean languages and much more. My personal favorite has to be the Google Play reader. May be because it’s what I’m used to, but it just seems to be a logical fit for me. Thanks for the list. At the start, I’ve been using Cool Reader but I’ve started to switch to Google Play Books because, for me, it has a more user-friendly interface. Great write-up, sir. Thanks for the share! The best thing of Google Play books is that you can upload epub and PDF files and they sync across your devices, including reading progress. That’s a great feature and is the reason why I now seldom use Kindle (only when buying books from Amazon). 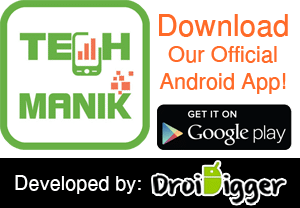 With the increase of android phone and tablet users, more and more new apps for android phones and tablets are coming to the market. 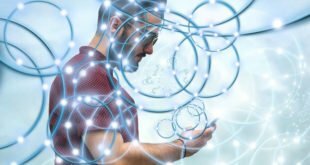 Apps for various purposes have really made our life much easier than ever. Thanks for stopping by, keep visiting for more amazing Android Apps. Your list of e-readers is informative. 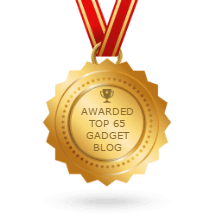 For those searching for the perfect e-reader for their phone or tablet, there are plenty of relevant options to choose from after reading your post. Wonderful information including all types of latest Applications which are used to operate the cellular devices.And these Applications makes our life so easy. These includes the various features and easily explained so customers will not face any kind of difficulty while purchasing such android gadgets. I would like to say that this article is so readable and informative for new generation people. Well, no doubt these five eBook readers are known for their best performance, but personally, i would prefer aldiko for your phones and tablets. Aldiko has all the latest option for reading an eBook file.